If you, or someone you know is struggling with mental wellbeing issues help is available. Finding support early on is key. Everyone is different, so try to find what works best for you. Don’t try to do too much. Be kind to yourself and just be the best parent you can be. Look after yourself – think about what makes you feel good e.g. exercise, art, time alone, seeing friends. Encourage your family and close friends to keep an eye on your wellbeing (they may spot signs and changes in you before you do). Accept help if offered and ask for it if you feel you can. 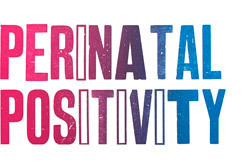 If you or a family member have (or have had) mental health problems do tell your midwife from the start (or as soon as possible) so that they can offer you the support you may need. If you’re struggling, tell someone you trust – this could be family, friends or a health professional. You may have to try more than one person. Don’t be afraid to ask your Doctor (GP or obstetrician), midwife or health visitor about getting the right sort of help, from medication to counselling, help bonding with your baby, breastfeeding support or help relaxing and sleeping. Join a support group to connect with others who are struggling. It can be difficult to know how to raise the subject of how you’re feeling even if someone asks. It might help you to write down how you are feeling before you start the conversation. You can refer to your notes as you talk. If you don’t want to have a conversation face-to-face you could try to email a friend, family member, or charity. Try calling a phone helpline if you don’t feel comfortable speaking to someone you know. This can be anonymous and there will be trained staff/volunteers who are used to talking to people experiencing problems. Once you’ve had that first conversation it may make it easier to open up to others. If talking to your GP/midwife or health visitor, you could write notes before your appointment to help you describe how you are feeling. It’s your right to see another doctor if you want to. If you’d like a second opinion or confirmation then ask to see another GP at the practice or change practice if necessary. When searching for support online look for well-known organisations and charities. Different areas of the UK have different support networks. People have told us that they often don’t know where to start. You could try Googling: perinatal mental health + [name of your city/county] or dad/mum + mental health + [name of your city/county]. Or check the national and local links on this page. 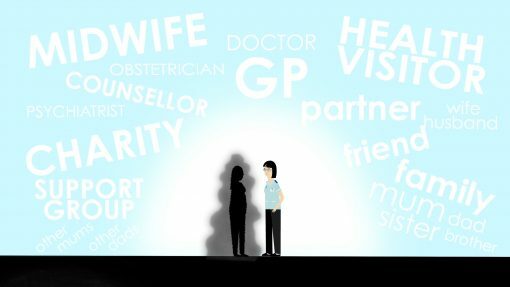 Speak to your GP, health visitor or midwife or visit the NHS Choices website.